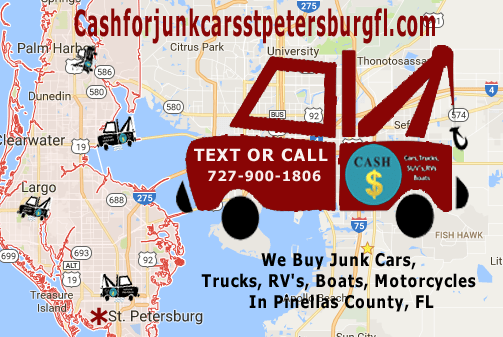 Junking a car in St Petersburg Florida or anywhere in Tampa Bay is as easy as texting or calling Cash for Junk Cars St Petersburg Fl. We are a high rated Tampa Bay junk car buyer serving customers in Tampa Bay and St Petersburg. This is in part because we make it so easy to junk a car! We provide our junk car buying service in multiple locations including in Pinellas County and Hillsborough County, FL. TEXT A PHOTO AND ANY INFORMATION YOU MAY HAVE TO: 727-900-1806 or call us directly for a cash offer. We may ask you some questions but we may make an immediate offer. Our cash offer will reflect the very best price possible for your old junk car, truck, SUV, boat, RV or motorcycle. 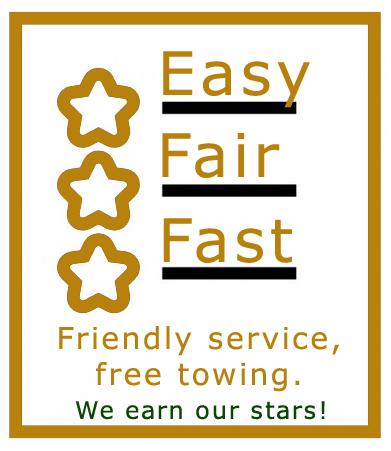 If our offer sounds good and you accept, we will come and tow your vehicle away for free and give you cash on the spot. It really doesn’t get much easier than texting us a photo of your junk car when you need to junk your cars in St. Pete, FL. When you search “junk my car St. Petersburg, FL” you know if you’ve found us, we’ll do you right. Check out our hundreds of Google reviews and see how we are a high rated junk car buyer in Tampa Bay! And remember, if you’re a happy customer (and we think that you will be once you’ve junked your old hooptie with us) remember to refer us to your friends with junk cars or unwanted automobiles in Tampa Bay! We travel throughout a number of counties including Pinellas County paying cash for junk vehicles. Junking a car in St. Petersburg, Gulfport, Pinellas Park, Tierra Verde or John’s Pass, Florida is simple. No matter where you are in Tampa Bay, junk your car the right way with Cash for Junk Cars St Petersburg FL.